Ahh, food art. If you construct something usually made of metal out of say, MDF: RUBBISH. Create that same thing but make it edible: ET VOILA, genius. Them’s the rules in PR town. Nobody asks, nobody tells. Still, as in this case (and in this case, amongst others), it can often relate just enough to make a good story and not just be about the picture (but you’ll always get those who consider the stunt a gigantic waste of food). 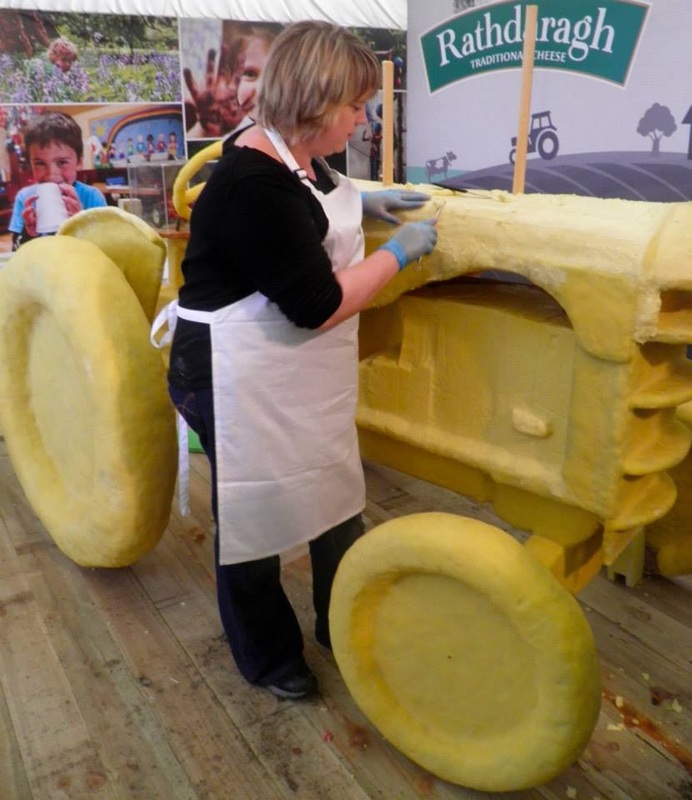 So, to promote the upcoming launch of its new range of Rathdaragh Irish cheese, Lidl delved deep into its collective marketing mind and asked food artist Prudence Staite to sculpt a tractor out of cheddar cheese, live at the recent National Ploughing Championships (the biggest Agricultural Show in Europe, don’t you know). 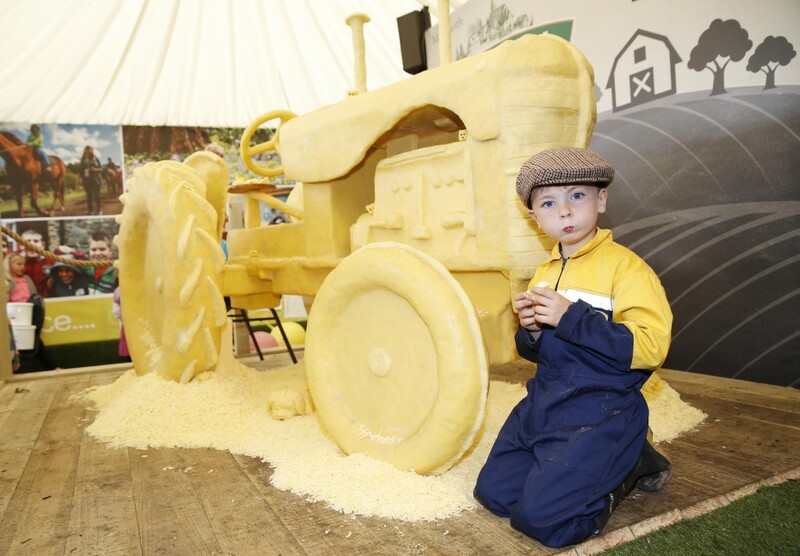 Bill Cahill 5 from Ballingarry, Tipperary was the lucky boy who got to pose with the tractor (above), which came together over the course of the three day event.